Complete with box, case, straps and lens caps. Trim, ergonomic shape for easy, all-day use. Textured, non-glare, non-slip rubber Armour absorbs shock. Knurled dioptre adjustment for precise and reliable adjustments. Lift up to adjust, push down to lock. Complete with luxury case, padded neck strap, lens caps. The new Nitrosport range of roof prism binoculars feature a stylish modern open hinge design, making them lightweight and easy to handle. 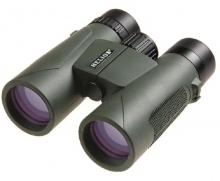 Great for bird watching and general observing, all models feature high index BaK-4 prisms and multi-coated optics. The 8x42 and 10x42 models have the additional benefit of phase-coated and silver-coated prisms for increased brightness and image contrast, as well as being fully multi-coated on all glass to air surfaces. Waterproof and nitrogen-filled for clear, fog free operation. Twist-up eyepieces and suitable for spectacle wearers. Black protective rubber armouring. Integral tripod bush. 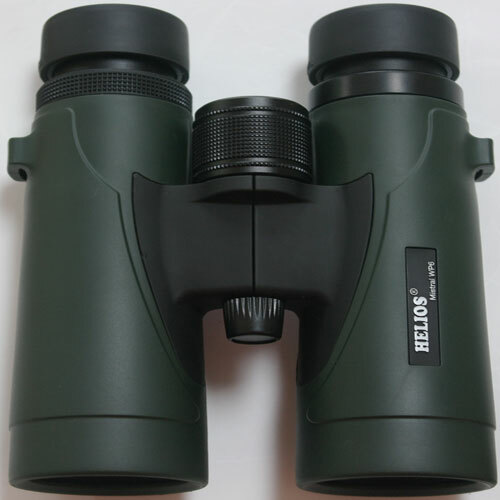 Supplied with neck strap, eyepiece rainguard and soft case. 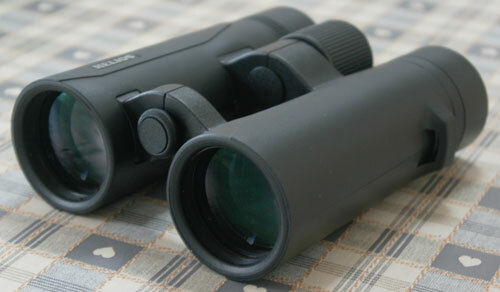 They are extremely competent instruments for both birdwatching & general observing, and represent truly amazing value. They feature a very stylish, ergonomic, modern top hinge design covered in sleek green rubber armouring. The body is constructed from lightweight but robust polycarbonate. 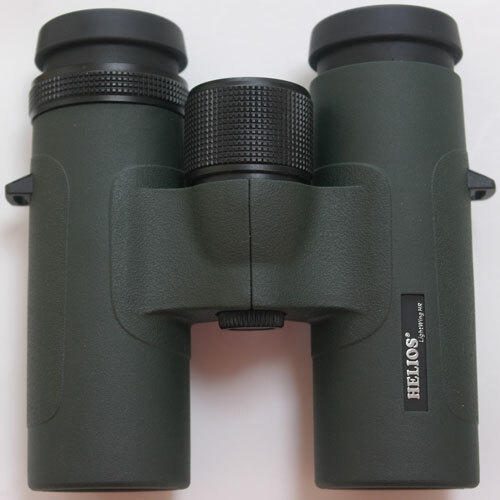 All models feature high-index, silver-coated BaK-4 prisms and fully multi-coated optics which provide excellent optical performance. Images delivered are crisp and sharp, with very good resolution, brightness and depth of field, whilst maintaining colours to a natural level. Near focus capability of all models is 2.5m or less. Waterproof (30 minutes at 1M depth) and nitrogen filled for clear, fog-free operation. 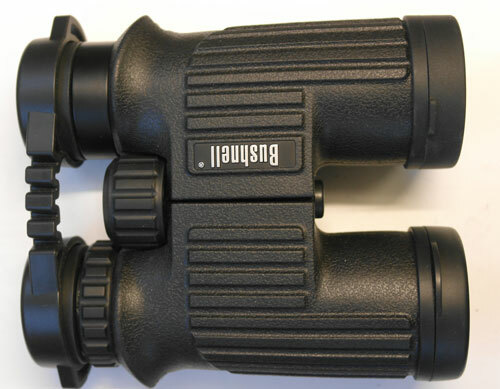 Twist-up, 3–position eyecups with metal sub-structure. Suitable for spectacle wearers. Knurled metal, easy-grip 2-turn focusing knob. Integral tripod bush. 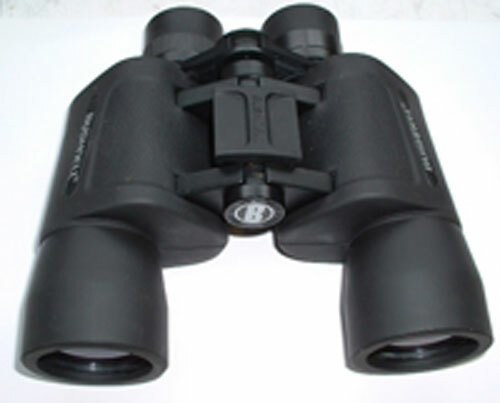 Supplied with neck strap, eyepiece rainguard, objective lens caps and soft case.